We have just taken delivery of a fun new range of brightly coloured mouldings. 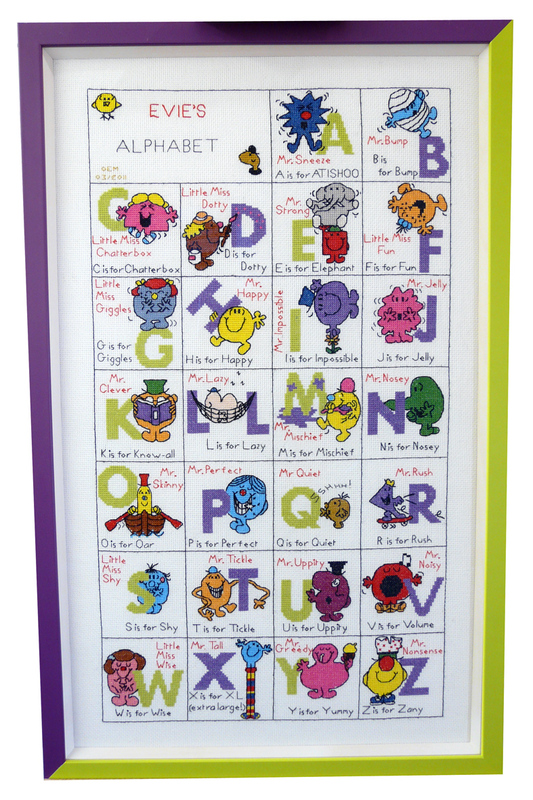 With everything from pink, yellow and orange, to blue, purple and green they are perfect for children. 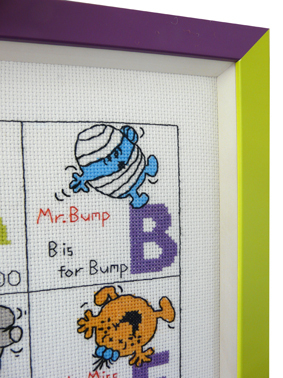 We were very excited to be able to use not one, but two colours on a Mr Man cross stitch that was recently brought in. As you can see, the purple and green went so well that we decided to use them both! First we stretched and laced the cross stitch to prepare it for framing. We decided to use a white spacer to keep the glass away from the needle work and finished it off with our special non-reflective and UV filter glass so the detail of the work really stood out. Using the two colours to make up the frame gave the finished piece a real sense of fun for a little girl!